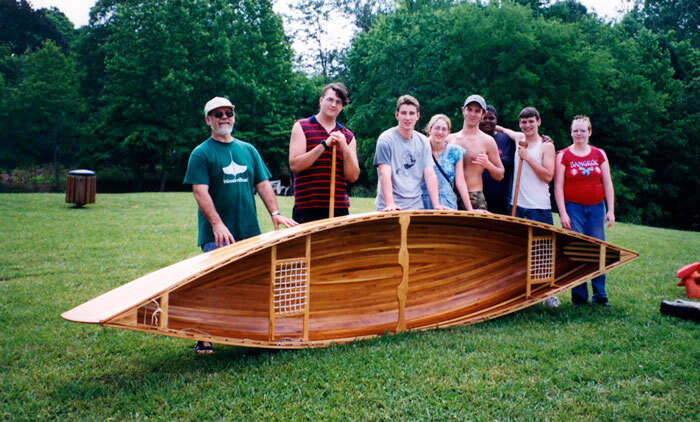 Martin Walker teaches boat building at Maryville High School in Maryville, TN. 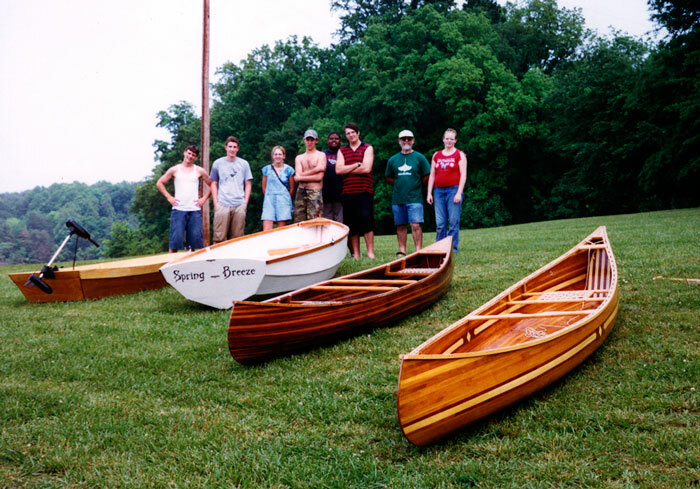 During the 2002-2003 school year the school completed 4 boats - a 16' cedar strip Micmac canoe, a 15' Micmac made of redwood, 12'10" Pooduck skiff, and a 8' flat-bottom rowboat. 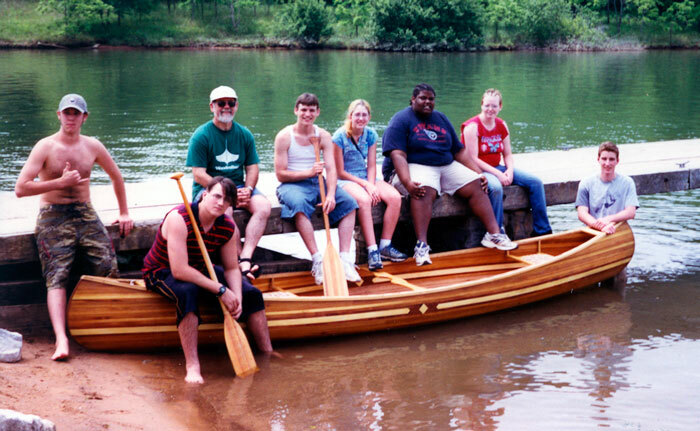 Martin says they try to build two canoes a year, plus whatever smaller boats they have time for.